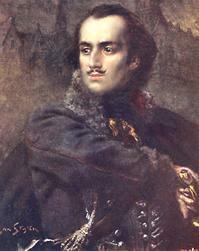 Casimir Pulaski was baptized into the Roman Catholic Church in Poland shortly after his birth to a noble family on 4 March 1745. When a young man, the Empress of Russia installed her former lover as the regent of Poland. Pulaski's father, with his sons, began a revolt against this interloper and his Russian troops. Casimir raised a small force, but one that would prove to be effective against the Russians. He named this force, "Knights of the Holy Cross" and each man bore the red crimson cross on his left side and his tartar cap." The knights in several actions between 1768 and 1761 were able to defeat the Russians, and gave Poland its greatest victory at the Monastery at Czestochowa since 1683 when Polish forces defeated the Turks at Vienna. The Government implicated him in a plot to kidnap the monarch and declared him a traitor. Pulaski fled Poland to seek allies, but he was never to return and his property was eventually taken. He fell into dispair and debt in France, but was eventually referred to General Washington with letters introductory from Benjamin Franklin. 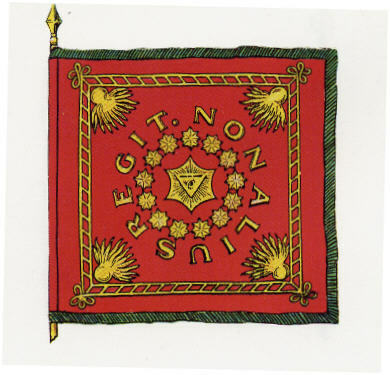 Thanks to Centurion Richard of Kansas for this suggested centurion commemoration.